These days, more and more buzz is being generated about modern homesteading. But what is it, exactly, and is it something anyone can do to be more frugal? In this article, we’ll explore the basics of homesteading and show you how you can apply the principles of this lifestyle at home. Before learning about homesteading principles, it’s helpful to understand where the term came from. Homesteading originally referred to families who took over federal land for free or at a very low price. This took place mostly in the late 1800s and early 1900s in order to bring more settlers to the American West. The term popped up again in the 1960s and 70s when a “back to the land” mentality became more popular. The idea at that time was to be self-sufficient on your own piece of land and minimize dependency on government, corporations and non-renewable energy sources. Today, homesteading resembles the movement that grew in the 60s and 70s. However, there isn’t as much of a cohesive movement now. In fact, homesteading is a looser term that’s now used to describe certain actions that individuals and families are taking to become more self-sufficient, waste less and eat wholesome foods. The great thing about homesteading is that, in addition to helping people be less wasteful and more resourceful, it’s also a great way to save money on a daily basis. By using your own resources and being less wasteful, homesteading leads to a more frugal lifestyle. Read on for some examples of how homesteading is currently being put into practice. Baking your own bread, making your own pasta, etc. Cleaning and household products can also be produced through homestead methods. In many cases, homesteaders are making their own cleaning products like soaps and laundry detergents from basic ingredients around the house. This produces safe, chemical-free cleaning products that are affordable and eco-friendly. Plenty of other household products can be made at home as well. From deodorant to shampoo to shaving cream, people are making their own products at home as a way to both save money and ensure that they are using safe ingredients. It also increases self-sufficiency by eliminating the need to get these items from big box stores. Some people are taking homesteading to the next level by actually purchasing land and building their own home. Others are simply building certain structures, like chicken coops, livestock fencing or raised garden boxes. 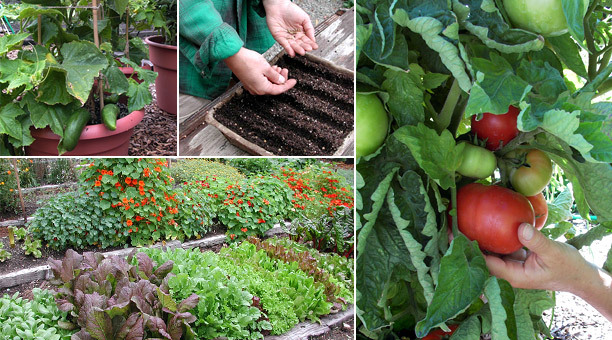 These are all substantial ways to practice homesteading for yourself. To get help with these types of homestead endeavors, consider checking out books from the library, watching tutorials online or taking free classes at a local home improvement store. Many homesteaders want to focus on living simply. For many, that means using fewer outside sources to get their entertainment. A common practice for this is eliminating cable or even TV altogether. Others go to a library for Internet use or replace a typical vacation with a camping excursion. Additional options include reading books, playing board games or enjoying the outdoors. Many are also eliminating cell phones or going with simple, no-data plans. The great thing about modern homesteading is that it doesn’t have to be an all-or-nothing endeavor. You can start small and try more things as you become more confident or have the proper resources. You can just stick to a few practices that suit your lifestyle or you can become almost entirely self-sufficient on your own land. However you go about it, homesteading is a great way to be more frugal in your daily life since you’ll save money, buy fewer unnecessary things and waste less. For many, the shift in thinking and priorities that typically accompanies a homesteading lifestyle is enough to start spending less and saving more.